Often hailed as a figure emblematic of the romantic artist, Eugène Delacroix, like the neoclassical artists who came before him struggled, with the idea of originality and the need to turn the ephemeral inspiration of the natural world into works with timeless, universal appeal. 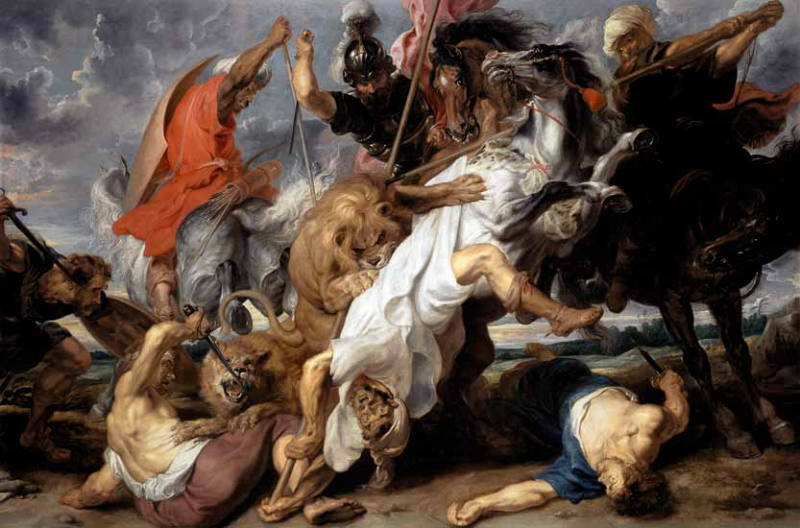 Rejecting neoclassicism as too heavily dependent on the modes and precedents set by antiquity Delacroix’s art reflects a careful balance of the two, something that is particularly evident in his paintings of lions and tigers, a life-long fascination for the artist. 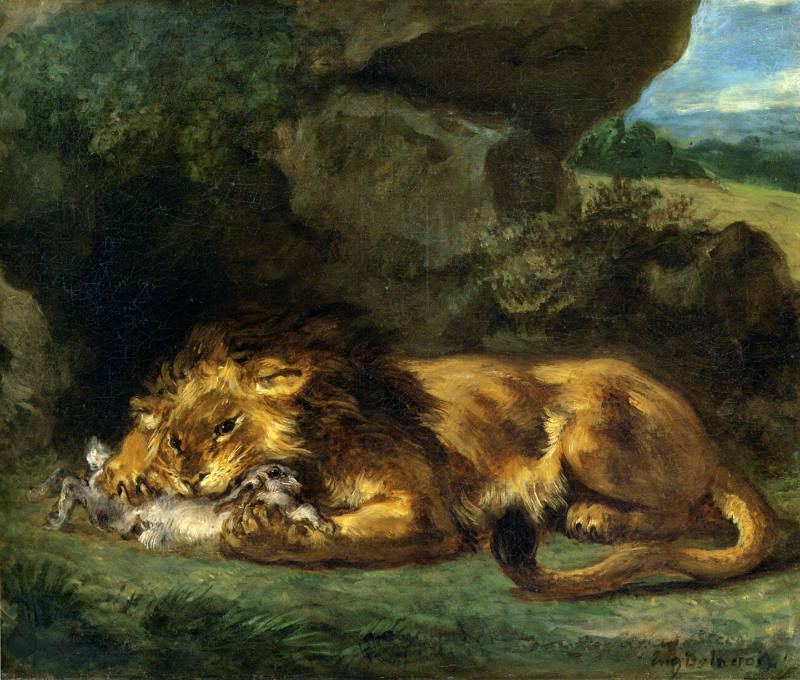 The image of the Royal Tiger (1829-30 Amherst College Art Museum) (Fig.1) embodies the complexity of Delacroix’s artistic philosophy regarding the emulation of old masters as well as his dedication to nature. 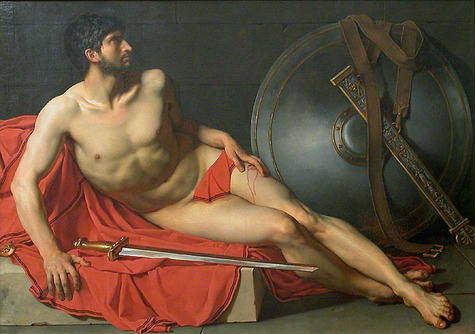 This image, with its striking combination of natural detail and traditional format seems to echo the academic practice of creating single figure studies, called académies, which prepared the artist for his larger, more complex lion hunts in which the conflict between man and nature reflects the artist’s conception of romanticism elevated to the level of history painting. 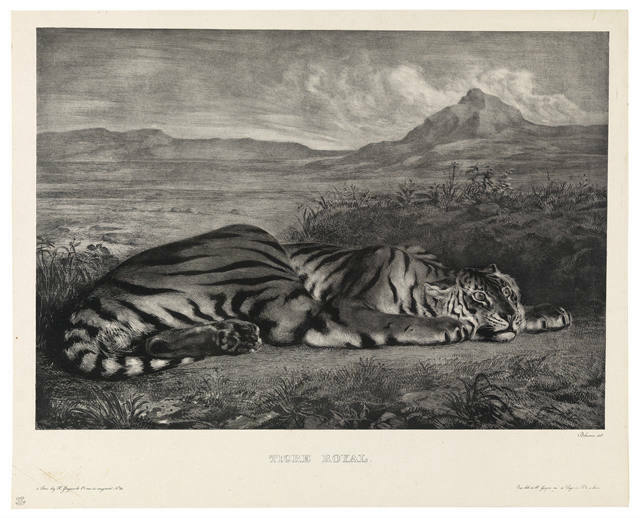 The lithograph titled Royal Tiger currently in the Amherst College collection attests to Delacroix’s success at capturing and engaging with the public’s imagination. 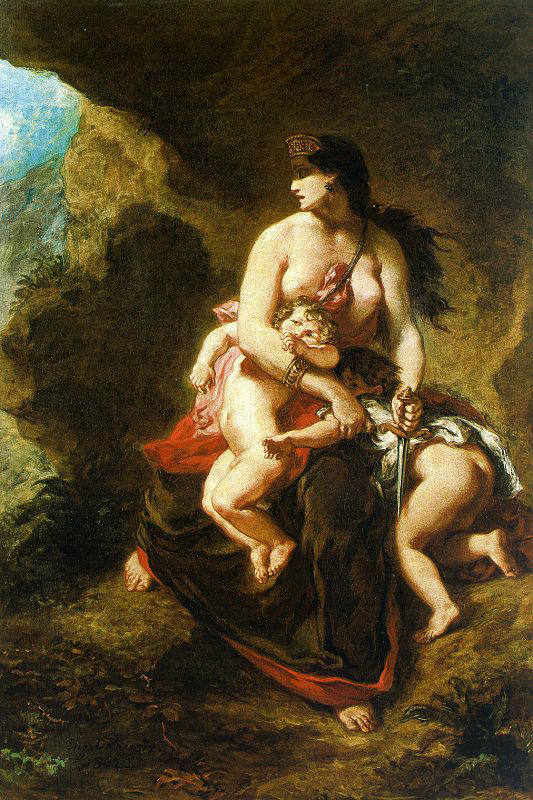 The lithograph was created in 1829-30 and is similar to several other works in Delacroix’s oeuvre. 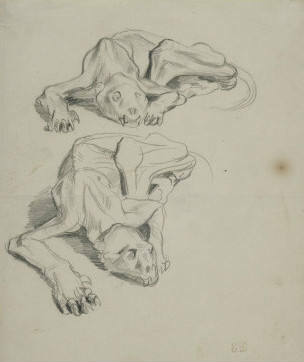 This example borrows from the pose of an earlier sketch of a “flayed lion” or Lion écorché (fig.2) that seems to fuse attitudes of lounging and crouching, tension and relaxation, and in doing so encapsulates more fully the essential dichotomies of the great cat as well as of the artist’s definition of romanticism. The setting, a sparsely vegetated plain with a mountain cutting across the horizon is somewhat different from later, painted versions which introduce a shadowed area across the foreground largely separating the animal from the distant landscape and evoking the mouth of a cave or a rocky outcrop of some kind. Whether this difference is the result of the technical limitations of monochromatic etching which would obscure the tiger against the shadow or if there is a deeper meaning is somewhat unclear. 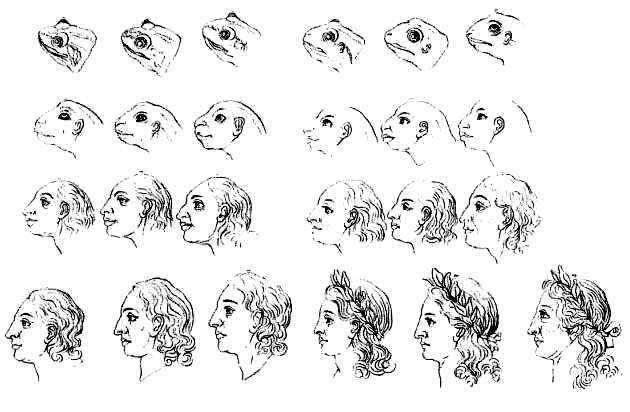 The scholar George P. Mras notes that in the print the peaks and valleys of the distant mountains seems to echo the organic geometry of the tiger’s body (Mras, 1962, 20). 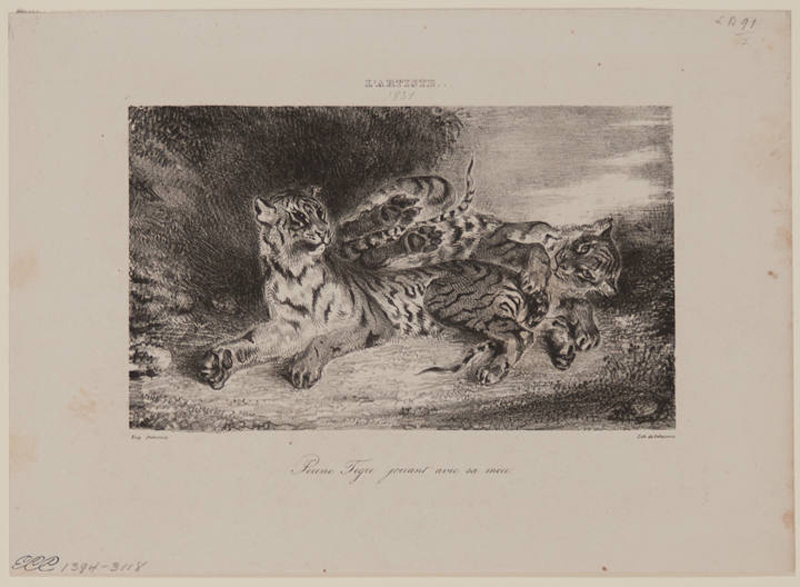 This sense of rhythm between the tiger and its environment speaks to the way in which Delacroix portrays the tiger as the embodiment of a largely unpredictable and often violent Nature. Rendered in shades of grey, the lithograph is nevertheless imbued with the same sense of primordial vitality. The tiger’s body language and piercing stare at some unseen enemy or prey suggests the potential for imminent violence (Mras 1962, 20).Yet, there is ambiguity there as well. Perhaps it is not the tiger who is lying in wait to spring upon its prey, but rather is the vulnerable one. Either way, the overall effect is a sympathetic portrayal of the tiger as well as a celebration of Nature’s dualities, an idea that forms the foundation of romanticism.